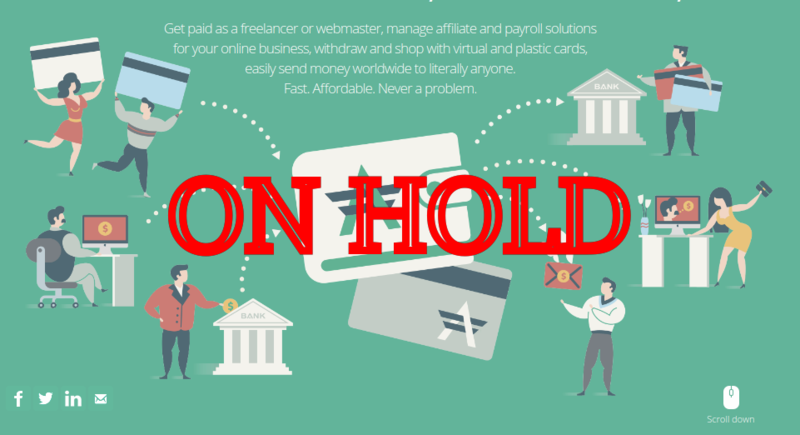 The AdvCash prepaid Bitcoin card no longer works. Sad news for everyone used to cashing out their Bitcoin through ATM cards. AdvCash, a company based in Belize, was one of the few that kept providing working cryptocurrency ATM cards after the recent Visa ban. Thank you for contacting Advanced Cash support center. Unfortunately we have to let you know that Wave Crest, our current card solution provider, is unilaterally shutting down our card program. New virtual and plastic cards are no longer issued to any users whether or not they are EEA/SEPA area residents. At the moment, we are integrating the card platform solution from a new vendor. We will be able to provide more information on this at a later stage. So – it appears that Mastercard has followed Visa’s footsteps and revoked card issuing rights from WaveCrest. If this is not an increase of pressure from conventional banking and finance on crypto then I don’t really know what is. Still, Bitcoin is antifragile. The more it is pushed underground, the more innovation will come along. Many of the ATM card providers will find a way and re-surface with even better prepaid products. This is what Bitcoin was intended to go through, because you can not disrupt without being attacked. For now, just as before and probably for a long time after, the best and most reliable way to cash out your Bitcoin is through LocalBitcoins, a peer to peer matching service. How to buy Bitcoin in Canada after major banks killed credit card purchases?